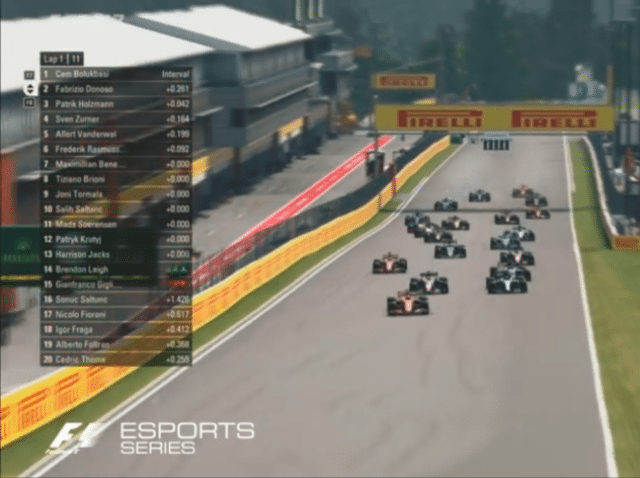 Formula 1 charted the course for the F1 Esports Pro Series 2018, presented by New Balance, where the official F1 Esports teams will rev up to be named this year’s F1 Esports Series Teams’ and Drivers’ World Champions on Codemasters’ F1 2018 videogame. “The launch of the Pro Series is a pivotal moment for the F1 Esports Series,” said Julian Tan, Head of Digital Growth & F1 Esports at Formula 1. “In a short space of time the drivers have come together from all around the world to join their official F1 teams; and will now take their passion for motorsport and gaming from home all the way to the podium. The Pro Series will be held as a series of three live events at London’s Gfinity Esports Arena on Oct. 10, Oct. 31 with the Grand Finale spanning Nov. 16-17. Events will be streamed live on Facebook and broadcast globally on selected TV networks, bringing the excitement and exhilaration of Formula 1 to a new generation of fans across the globe. Drivers race for nine of the teams competing in the 2018 FIA Formula One World Championship: Mercedes-AMG Petronas Esports, Red Bull Racing Esports Team, Hype Energy eForce India F1 Esports Team, Williams Esports, Renault Sport Team Vitality, Haas F1 Esports Team, McLaren Shadow, Toro Rosso Esports Team and Alfa Romeo Sauber F1 eSports Team. Competitors will race alongside established racers for a prize pool of $200,000, allocated to the teams based on their positions in the team standings. F1 also welcomed footwear and lifestyle brand New Balance as the Title Sponsor of this year’s F1 Esports Series. New Balance will provide footwear for the drivers, while F1 also retains its existing sponsors DHL and Fanatec.